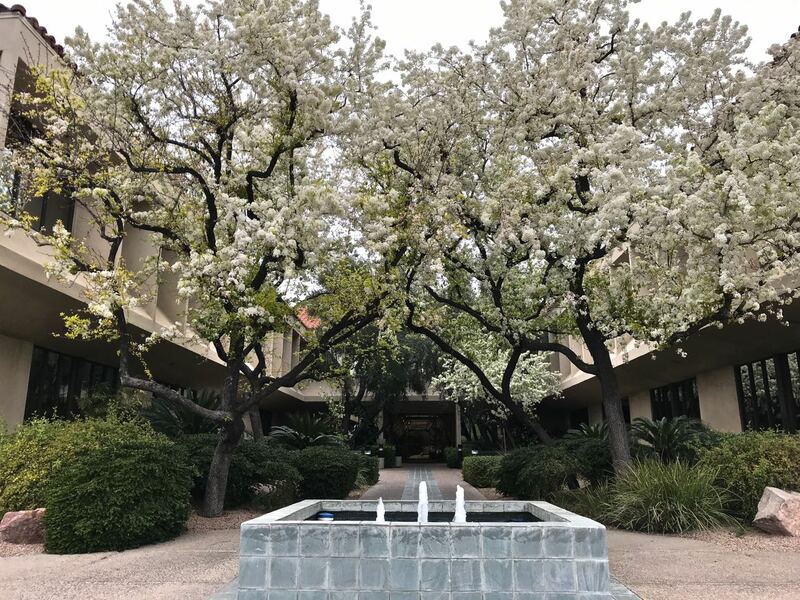 Phoenix Daily Photo: Those Flowering Pear Trees....Again! 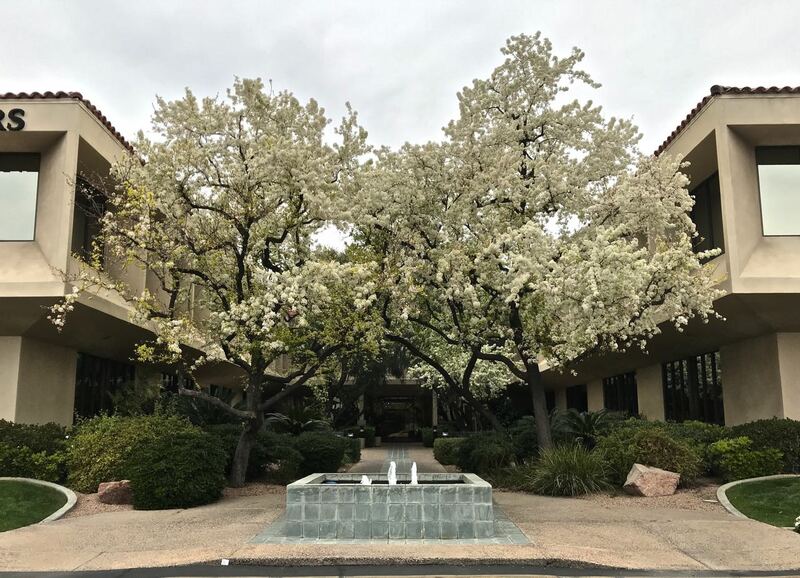 Every year at this time, I always show you a photo of the flowering pear trees and I always think they are blooming way too early. However, looking at my older photos, it's always been around the start of February. They are looking smashing all over the city but, this year I found an office building that has them lining the entrance. It's a jungle of white blooms! There are even several on the grounds where I live and they are also in full bloom right now. I just love seeing them. Such a nice reminder of the coming spring. It is always a beautiful sight to see spring is coming. The blossems are mostly so quickly gone helas. Lovely sight for a northern like me living in a deep freeze. Thank you Sharon. What a lovely sight, Sharon! Can't wait for spring to arrive here. We have more snow coming tomorrow. Beautiful trees at this time. Some of our trees this morning are also white.... It snowed last night! They are lovely! My grandkids like to call them "snow trees". They are a pretty sight to see, Sharon. We had a pear tree in our yard when I was young. That explains my love of pears. I love them too but I don't think they've started up here yet. They do look particularly good in that location, all clustered together in that courtyard.